you may know how passionate I feel about walking hand in hand with fellow female entrepreneurs! ?❤️✨ I’ve been dreaming of the opportunity to put together a pop-up shopping event & hold space for babes in business to gain the exposure they so deserve all while creating a beautiful, supportive sisterhood in the process!! G U E S S W H A T ! WE’RE POPPING UP IN HOBOKEN, NJ NEXT SATURDAY JULY 22nd from 1PM-6PM! $10 Early Bird Tickets available thru Monday July 17th via Eventbrite! ? 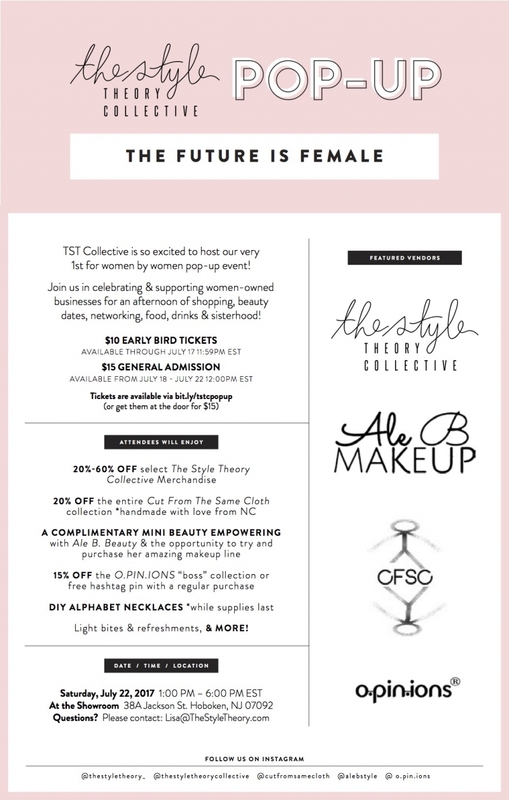 Join us in celebration of women owned businesses & enjoy shopping, exclusive discounts, beauty dates, DIY alphabet necklaces, food, drinks & more! ?